"We know she is the perfect person to headline this type of project," said founder and CEO of BASE Entertainment and BASE Hologram. LOS ANGELES — British songstress Amy Winehouse, more than seven years after her death, will return to the stage in holographic form for a live tour set to launch toward the end of 2019. Proceeds from the tour will go toward the Amy Winehouse Foundation, which is dedicated drug and alcohol abuse awareness and prevention among young people. The six-time Grammy winner died on July 23, 2011, at age 27 in London after publicly battling drug and alcohol addiction in the years prior. 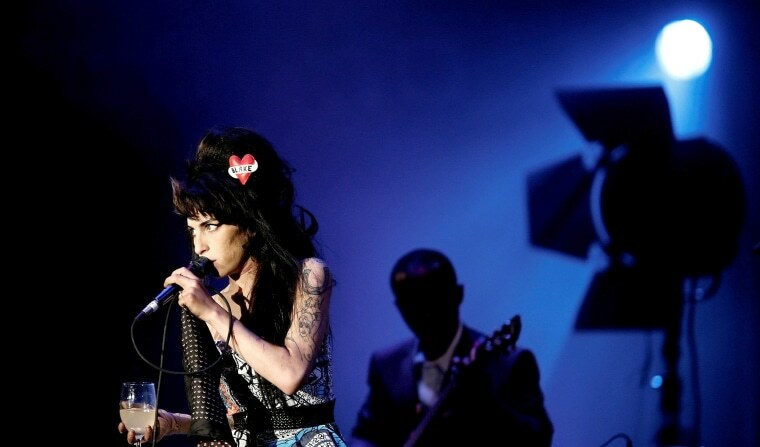 The tour will featured digitally remastered arrangements of the British singer's hits — including "Rehab," "Back to Black" and "Valerie" — with Winehouse's hologram backed by a live band, singers and "theatrical stagecraft," according to BASE. Mitch Winehouse, the late singer's father, on Thursday tweeted his support of the project: "Our family is delighted to be teaming up with @BASEhologram to continue celebrating the life and work of Amy, with all proceeds of the tour, starting in late 2019, going to Amy's Foundation to help even more young people in her name." "Amy was a powerhouse in every sense of the word," Brian Becker, founder and CEO, BASE Entertainment and BASE Hologram, said in announcing the tour. "She played by her own rules, pioneered her own sense of style of music and because of that we know she is the perfect person to headline this type of project." L.A.-based BASE Hologram develops, produces, and distributes live entertainment and location-based productions worldwide that combine holographic cinema and mixed reality with live entertainment. The company's current touring shows include "In Dreams: Roy Orbison - The Hologram Concert," and "Callas in Concert" featuring famed opera singer Maria Callas as well as next year's location-based project "Discoveries: Jack Horner's World of Dinosaurs."